The Forever Jordan Foundation – Gosh, this Personally Speaking side of me is a little more emotional. I cannot help but to well up with tears of happiness, and perhaps some tears of guilt for taking life for granted the way I do at times, when I think about The Forever Jordan Foundation and the wonderful young woman whom is the inspiration behind the organization. FJF’s mission is to raise awareness of children with disabilities and underprivileged children within the Rockland County (New York) community. The Foundation is built on the indomitable spirit of Jordan Esposito, Jody – whom I am proud to call my friend, and her drive to overcome the odds of her struggles. Jody was born with the most severe case of Spina Bifida, and during her 24 years she has endured more than 40 surgeries, including the loss of her legs. You MUST read Jody’s powerful story for yourself. Despite everything she has gone through and continues to go through, she is one of the most positive, determined, giving souls that I’ve been blessed to know. The Foundation is Jody’s way of giving back to a community that has supported her for many years. FJF provides funding to projects and needs within the community that aid in helping children live better and healthier lives. Not only am I lucky enough to be friends with Jody and the entire Esposito gang, but I’ve also had the opportunity to volunteer time to help FJF. In fact, they have an event coming up called Take A Bite Out of Rockland, featuring some of Rockland’s favorite eateries. Good food, good company and a great cause! Check ‘em out: Check out the FJF website to learn more about the fabulous things they’re doing! Nancy Slonim Aronie – Good for the heart (and the soul too!) Writer, commentator, teacher, mother … beautiful human being; I just love Nancy! And I don’t really, know her; well, not personally. Although I feel like a do. Nancy is the author of Writing from the Heart. I took her Writing from the Heart workshop at The Wainwright House (Rye, NY) about 10 years ago, but was reunited with her when she was selected as the keynote speaker for a Women’s Symposium event I worked on. I was so excited to see her! She is such a kindred spirit. I hugged her and actually told her that I love her. Borderline stalker/psychopath? Perhaps, but go ahead, get her book and/or attend one of her workshops and you’ll totally understand. A goal for 2011 – to attend Nancy’s weeklong, summer Chilmark Writing Workshop. Ahhhh that would be the best! Check ‘em out: Visit Nancy’s website and check out her schedule of workshops. She offers experiences ranging from one day to one week in various locations. Also, search for her on YouTube. “Stand in Another Place” is one of my favorite stories that she tells. 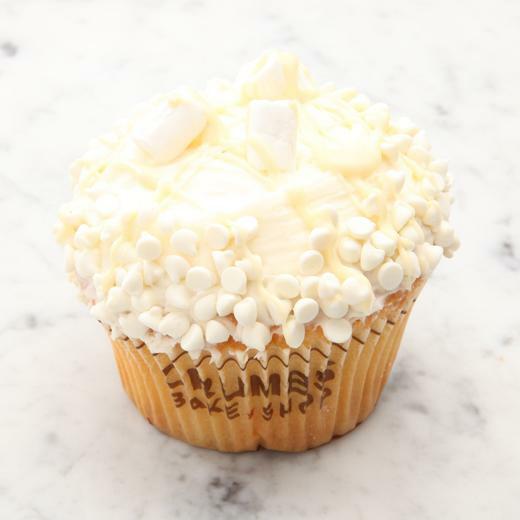 Crumbs’ White Hot Chocolate Cupcake – C’mon, did you think I’d get through a Favorite Things List and not include a cuppycake (my pet name for my favorite little pieces of heaven)! This was my favorite new discovery from Crumbs this year. Vanilla Cake filled with white chocolate mousse topped with vanilla cream cheese frosting edged with mini white chocolate chips and topped with marshmallows and white chocolate drizzle. Hello!!! McFly!?!?!? What’s not to love? Check ‘em out: Crumbs has locations popping all over the place. They also ship via UPS. Go on … take a look at the menu. I dare you not to salivate! Words With Friends – Hello, my name is ally, and I’m a Words With Friends-aholic. Calling all Scrabble lovers: if you haven’t already, you must check out this app for iPhone, iPod touch and iPad. Yes, I am an enabler, but it’s too much fun not to share! Get your friends to download the app and you can challenge them to a friendly game (or not-so-friendly for you serious competitors). All you need is their screen name or email address. Or the app can match you up with a complete stranger to test your skills on. Check ‘em out: You can learn more about Words With Friends on the Apple website and download it from iTunes. Have fun! Garden Botanika Heart Perfume – This has been a favorite fragrance of mine for years, but I hadn’t worn it in quite sometime. Check out my previous post My Heart to read the full story on why I hadn’t had the smell goods for a while. After reading my post, a good friend got me the perfume for Christmas. A great way to finish up the year. Check ‘em out: It is such a beautiful, clean scent, and I always get compliments when I wear it. There’s a whole line of Heart products available. Try them for yourself. Biosilk Silk Therapy – Thanks to another good friend for recommending this hair heaven in a bottle! Biosilk makes your hair silky smooth. If you’re like me and have a major static hair issue in the winter, you will especially love it! Check ‘em out: Biosilk offers a variety of products. My fave is the Silk Therapy, but you should test them all out for yourself. Mixed Bag – I can’t pick just one; I enjoyed so many artists this year. Dave Barnes, Donavon Frankenreiter and Train top my list of favorites for 2010. Their live shows were amazing and their albums served as a soundtrack for my year. Check ‘em out: Visit their websites. Download their music and see them LIVE. You won’t regret it. Again, so lucky to have so many faves! And I could keep going on, but in order to properly fulfill my commitment to writing a post a day for 2011, I need to stop typing and hit publish before the clock strikes twelve! Thanks to everyone who played a part in introducing me to these wonderful faves. Can’t wait to see what pops up this year! Tags: albums, Biosilk, concerts, Crumbs Bake Shop, cupcake, Dave Barnes, Donavon Frankenreiter, favorite things, Forever Jordan Foundation, Garden Botanika, hair products, Heart, IPad, iTunes, Jordan Esposito, Nancy Slonim Aronie, perfume, postaday2011, Stand in Another Place, the wainwright house, Train, UPS, white hot chocolate cupcake, Words With Friends, Writing From the Heart, YouTube. Bookmark the permalink. Thank you for the kind words about the foundation. Though I am tired quite alot from the work it takes to do what we do, I would never do anything different. Jody makes you want to pay it forward in spades every day. Im glad your a key part of what I am in my life.